Enabling a loved one is very easy to do, and often times it happens without even realizing it. This is because the behaviors feel so much like help. Anyone who loves someone with a substance abuse problem does not want to see them suffer. They do not want to see them in pain, or to walk through the perils of addiction and the shattering effects that it has on their livelihood, their family, and their life. 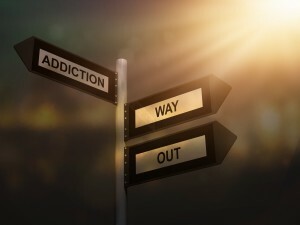 Here are three signs that may let you know if you are enabling the addict. When you just want the behavior to stop it is easy to try to step in the way of the addiction in the hopes that the behavior will stop. Things like hiding or flushing drugs, dumping alcohol down the drain, hiding the car keys and money seem like ways to help and to prevent the problem from being there. Unfortunately, it leads to more creativity for the addict. More lies. More manipulation. More ways that they can try to hide their addictive behavior. What it doesn’t do is help them or get them healthy. It won’t cure the addiction. It won’t convince them that their behavior is wrong and hurting others. If their addictive behavior makes you feel unsafe, your first priority must be your own safety. Interfering will not help the situation, it will only make it worse as they get more creative in the ways they attempt to hide it. Do you cover up behavior for the addict? Making up excuses for why the addict is not at an event or for their behavior are ways that you may do this. You may also lie for them, telling work, friends and family they are sick when they are in the throes of addiction is a common form of this. So is hiding things such as paraphernalia when others are around. The motivation is fear. You may tell yourself that it is fear of them losing their job, social appearances, losing status, but this is generally really out of a deep-seeded fear of change. Yes, you are hiding and lying for them for your convenience, because life on the outside appears good and you want to keep it that way. But you must face the reality, and accept that maybe they will lose their job, maybe they need to in order to want to face their addiction. Maybe it will affect your life in some ways. But those are consequences of being involved with an addict, and they are ones that will never go away until the addict gets help with their addiction. Do you lend them money or find yourself constantly lending things to the one with the substance abuse problem? Do you this and tell yourself you are doing these things because they need them for work, school, or other things that you believe are necessary for them to stop their behavior? The truth is, it won’t bring about the changes you were hoping for. None of us want someone we love to suffer. But when we shield them and protect them from feeling their own suffering, that they are causing for themselves, we take away the decision for them to even think about changing. Does any of the above resonate with you? If so you may be. The reality of enabling someone is that is prevents them from taking responsibility for their own actions. Whether the intentions are good or not, it prevents them from fully experiencing the reality of their own life. Stopping these behaviors and letting them live their reality is not an easy thing to do, and doing it often feels much worse than things are now. But only when that is done do they have the possibility to think about change and ask about getting help.